According to news reports, a Syrian member of ISIS detonated a bomb killing 10 people in Istanbul’s tourist zone, just steps from the Blue Mosque. The Turkish response to this threat to both security and economy has been swift and deadly with 200 ISIS sympathisers killed in Iraq and Syria. The Blue Mosque reference brought back memories of a bygone era. 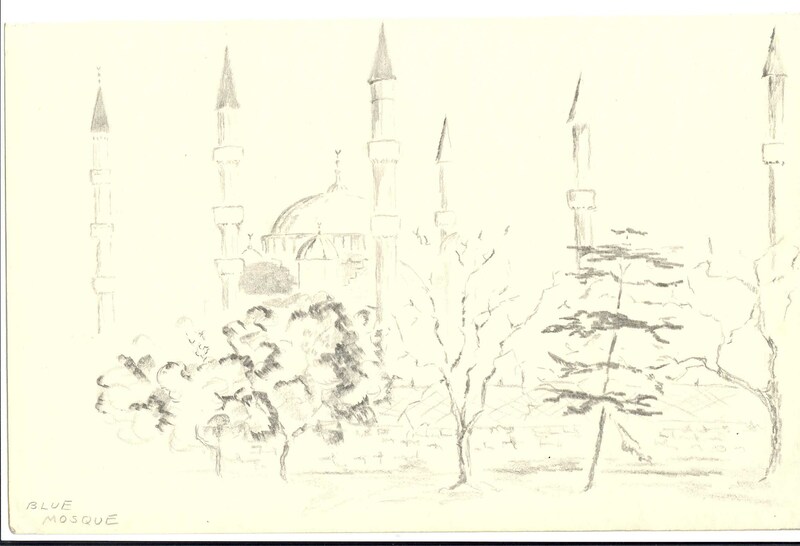 The above image is a quick sketch I made of the Blue Mosque back in the day during a world tour. This launched my career as a “professional” artist. A Coca Cola truck driver examined my meagre effort and awarded me with a free bottle of coke for encouragement!! Hard to believe a world that naive! !